Both databases are multidisciplinary and allow you to measure scholarly impact. • how to identify a researcher and her/his publication track with Scopus, among other useful features of both databases. 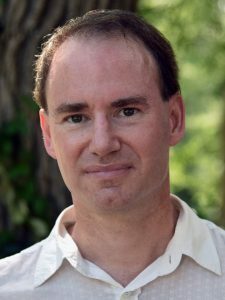 For those already using Endnote, this class teaches you to maximize the tool. From exporting and importing to syncing and sharing, this class will help you manage your own information seamlessly from desktop to mobile device and on the web. You’ll also learn about the Endnote options for sharing, so you can collaborate effectively. 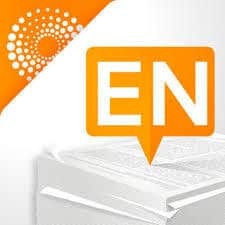 EndNote Desktop is available FREE from the UI Libraries to all graduate students, faculty and staff. Download your own copy. Getting here: Easiest way to get to Hardin Library is by taking Cambus/Pentacrest Route and get off at the stop called VA Loop. 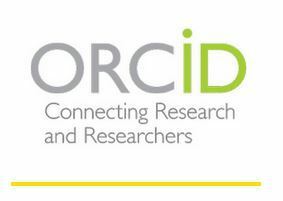 What is ORCID? Why would you want one? 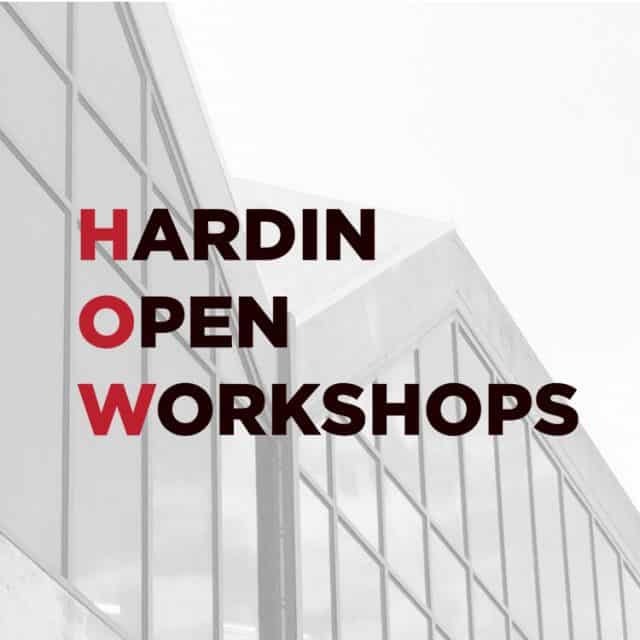 This hands-on session will discuss ORCID, how researchers can benefit from having one, and how ORCID connects with other information systems. Everyone will have the chance to create their own ORCID and learn the most efficient ways to populate their profile with their publications. No time for a workshop? Check out our guide or contact your librarian for personalized instruction. 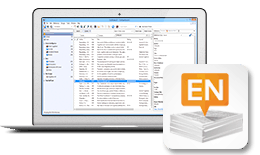 EndNote is a reference management tool that helps you to easily gather together your references in one place, organize them, and then insert them into papers and format them in a style of your choosing. This session will walk you through the basics of using EndNote to collect and format your citations. The class will be hands-on and there will be time for questions at the end. 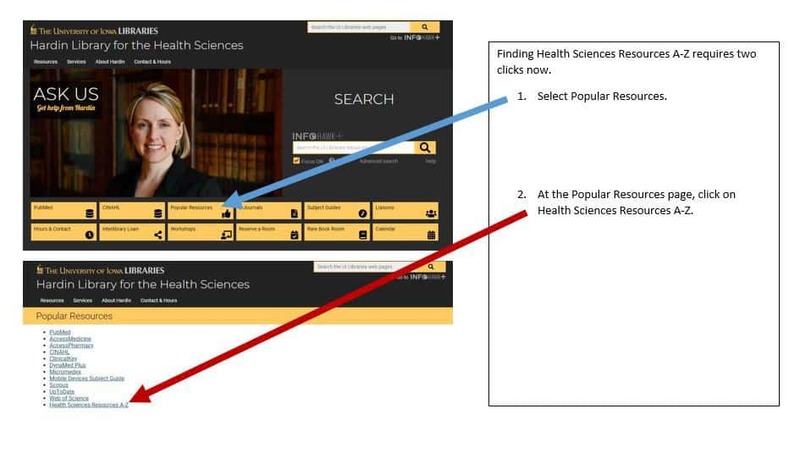 Locating our most popular resources: PubMed, AccessMedicine, AccessPharmacy, ClinicalKey, DynaMedPlus, Micromedex, Mobile Devices Subject Guide, Scopus, UpToDate, Web of Science, and the A-Z list now requires 2 clicks. Select Popular Resources, then click on the resource that you want to access. 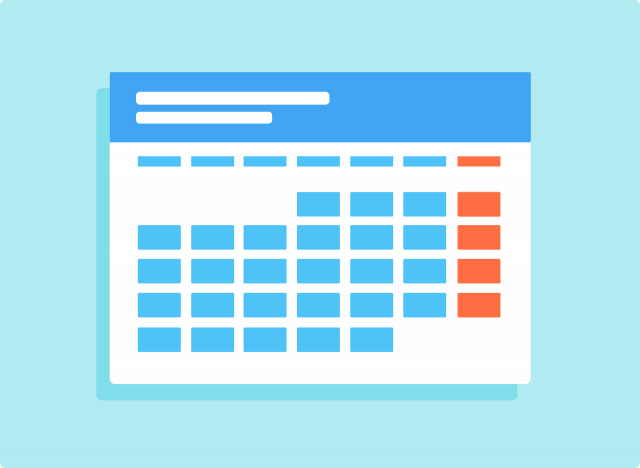 Click on the Calendar button to see upcoming events and registrations. Click on the Reserve a Room button to reserve a classroom, group study, learning lounge, or a simulator. Our website was redesigned on June 11. The search bar on the upper right searches all of the University of Iowa Libraries web pages and guides. Use this if you remember seeing something on a library website in the past and you can’t find it. 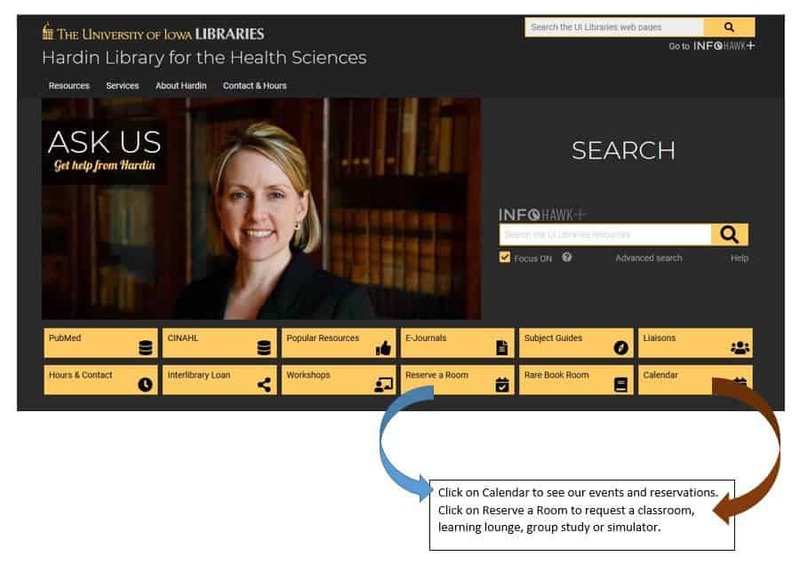 The InfoHawk+ search bar with focus on searches our library catalog. Use this to find book titles, journal titles, electronic journals and movies. 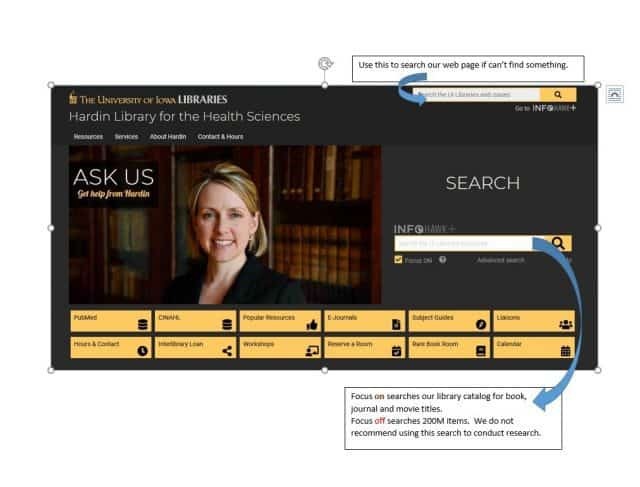 The InfoHawk+ search bar with focus off searches Primo Central, a database of 200 million items (think: library google) including individual articles, books, journals, and movies. We do not recommend doing research using this. 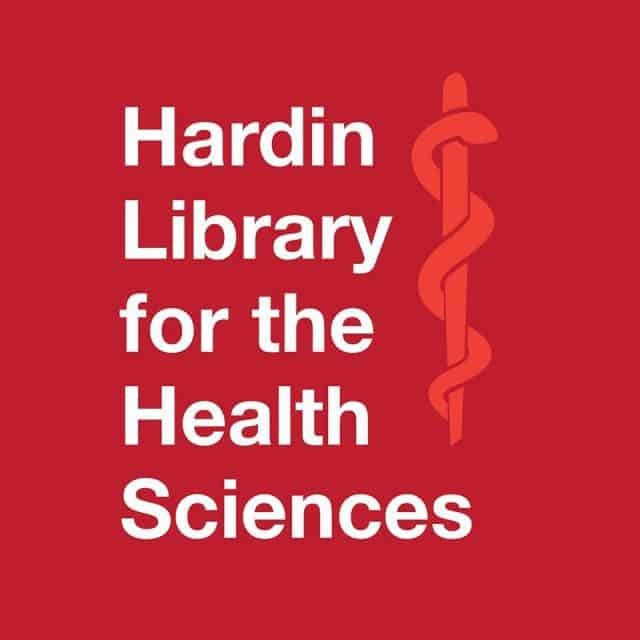 We recommend using PubMed or another specialized database in your subject area. EndNote Basic is a web-based citation management software that is freely available to all UI faculty, students and staff. EndNote Basic allows you to search, save and use your reference sources. EndNote Basic integrates with Microsoft Word to help you cite and format your paper. You can store and organize up to 50,000 references. No time for class? See our helpful guide!